Convert CSV to TXT in batches automatically! You are here: CoolUtils > Total CSV Converter > Convert CSV to TXT in batches automatically! CSV file format is used for exchange of data between disparate applications. CSV is a very simple format, and it is intended for storing information that is usually contained in spreadsheet and database files. In a CSV document, each line has one record, and each field within a record is separated by a coma. The format’s structural simplicity facilitates transfer between applications and ensures easy transfer of large amounts of information. TXT files usually contain purely textual information. They contain very little formatting, and are supported by simple text editors and system terminals. Actually, TXT files are read by any text-reading program; therefore they are referred to as platform-independent files. Total CSV Converter is a treasure finding for those who have to convert CSV to Text on a daily basis. This is a handy and reliable utility that supports many formats, including TXT, DOC, HTML, PDF, DBF, XLS, XML and OpenOffice formats. Ease of use and structural simplicity are the tool’s greatest advantages. 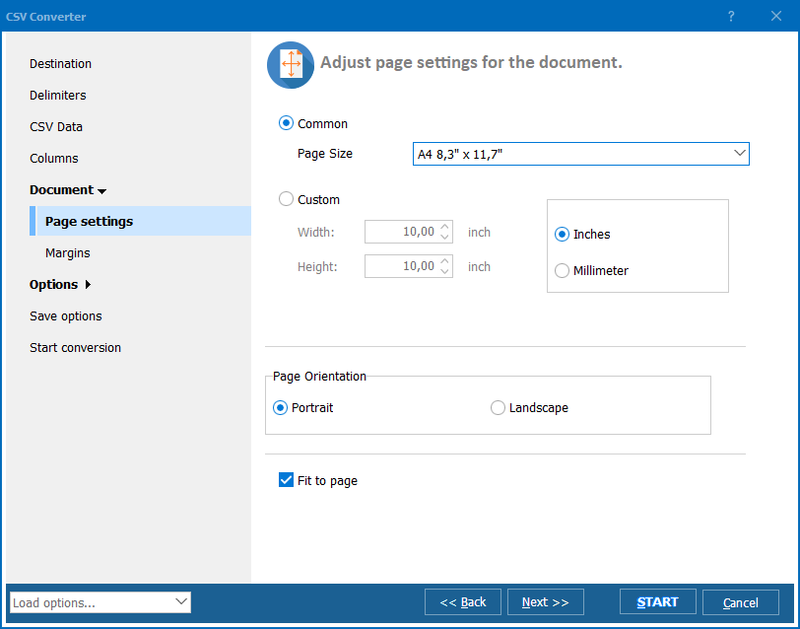 The program’s robust and user-friendly interface makes it a breeze to work with for even a novice user. With this unique CSV TXT Converter, you can manage as many files as you want with just one click of a button. Batch mode permits you to render a hundred of CSV documents in TXT, and the process is just as quick as if you were converting one file. 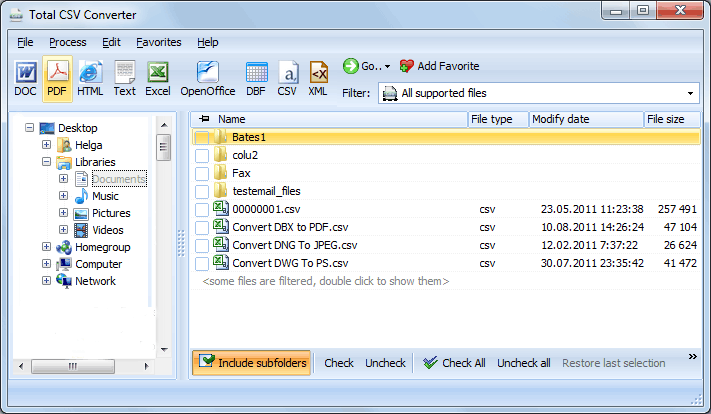 If you convert many files with the same saving options, Total CSV Converter will save you much time and effort. All you have to do is make your input/output settings, and they will remain the same all the time, unless you change them one day. One more advantage is the opportunity to render CSV into TXT right from the desktop. 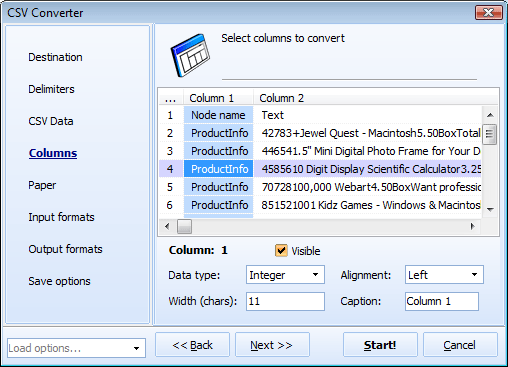 CSV Converter integrates into the right-button menu. 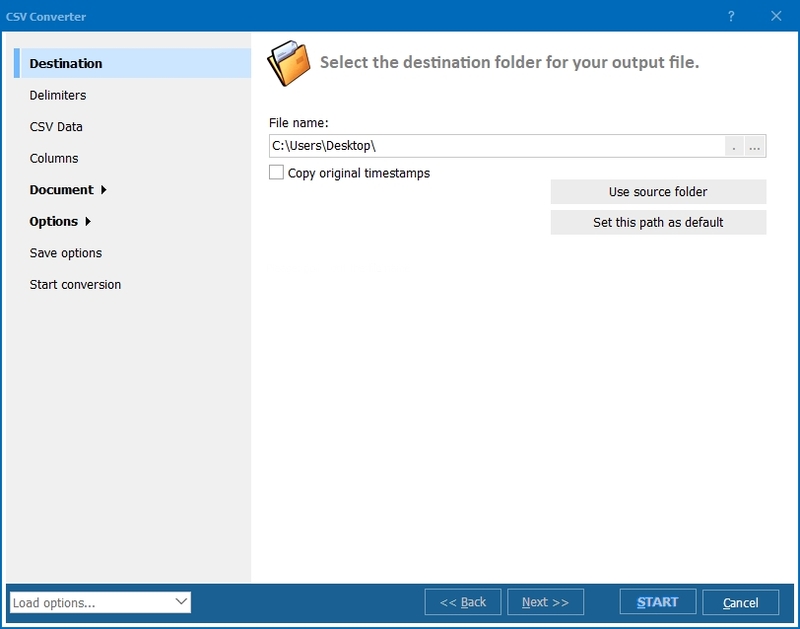 In order to convert a file without launching the program first, you should right-click on a file and select Convert to. Total CSV Converter can also be handled via command line. The program is available for online download. You can either buy the licensed version right now or download the trial version, which is valid for 30 days. Buying the registered version entitles you to regular and free tech support and updates.